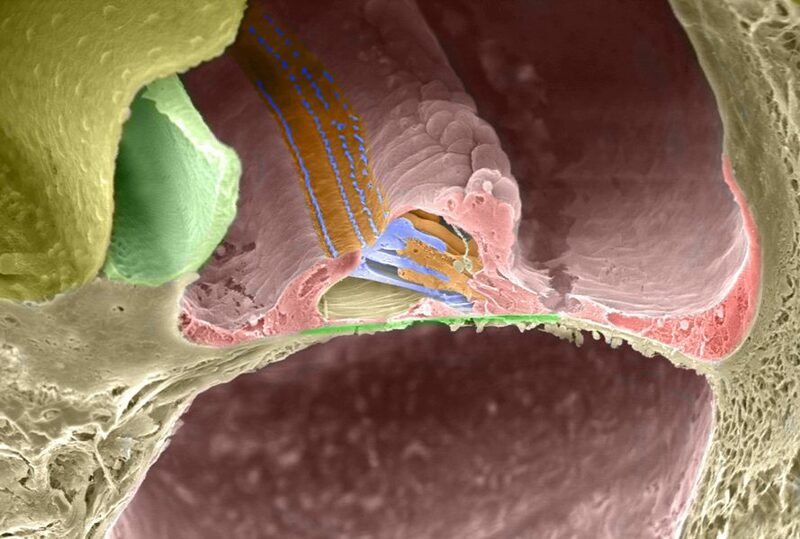 The scala tympani is the optimal location for a cochlear implant array.1 In the scala tympani, the array rests below the basilar membrane and stimulates neural tissues in the immediate turn, including spiral ganglion cells, neurites, and axons.2 This enables accurate tonotopic mapping as described by the Greenwood function. 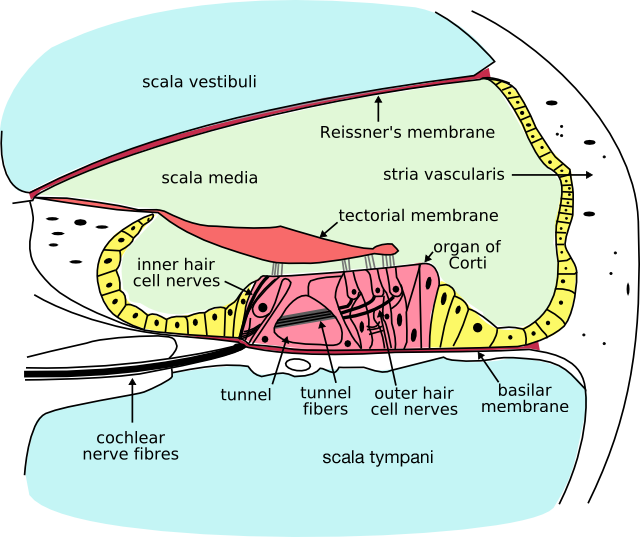 However, the basilar membrane and other cochlear structures are extremely fragile—so it’s no surprise that, depending on design and other factors, electrode arrays may deviate from the scala tympani into the scala vestibuli. In contrast, an electrode array placed fully within the scala tympani offers many benefits. There are the tangible benefits of better speech perception and possibility of useful residual hearing—but there’s also the preservation of neural structures and the natural hearing pathway for future therapies. Clearly, the ideal outcome for any cochlear implant patient would be an array fully within the scala tympani. So it’s fair to say that electrode deviation should be avoided whenever possible. But is it possible to effectively reduce the risk of electrode deviation? In part two, we’ll take a look at how surgical approach and electrode array design can significantly impact the likelihood of structure preservation during cochlear implantation. Subscribe today to make sure you don’t miss part two of this post! O’Connell, B.P., Hunter, J.B., & Wanna, G.B., (2016). The importance of electrode location in cochlear implantation. Laryngoscope Investigative Otolaryngology, 1: 169–174. Holden, L.K, Finley, C.C., Firszt, J.B., Holden, T.A., Brenner, C, Potts, L.G., Gotter, B.D., Vanderhoof, S.S., Mispagel, K., Heydebrand, G., & Skinner, M.W. (2013) Factors affecting open-set word recognition in adults with cochlear implants. Ear Hear. 34(3):342–360. Nin, F., Hibino, H., Doi, K., Suzuki, T., Hisa, Y., & Kurachi, Y. (2008) The endocochlear potential depends on two K+ diffusion potentials and an electrical barrier in the stria vascularis of the inner ear. Proc Natl Acad Sci USA. 105(5):1751–1756. Wanna, G.B., Noble, J.H., Gifford, R.H., Dietrich, M.S., Sweeney, A.D., Zhang, D., Dawant, B.M., Rivas, A., & Labadie, R.F. (2015) Impact of intrascalar electrode location, electrode type, and angular insertion depth on residual hearing in cochlear implant patients: Preliminary results. Otol Neurotol. 36(8):1343–1348. Wanna, G.B., Noble, J.H., Carlson, M.L., Gifford, R.H., Dietrich, M.S., Haynes, D.S., Dawant, B.M., & Labadie, R.F. (2014) Impact of electrode design and surgical approach on scalar location and cochlear implant outcomes. Laryngoscope. 124(6):1–7.